DuraKold travel bag for Kold Vest. 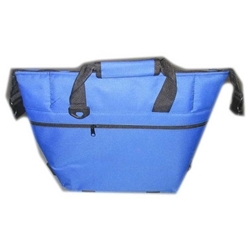 Soft side nylon insulated bag, 400 denier waterproof pack cloth, 3/4" foam insulation, vinyl nylon interior, welded seams & fully washable. Will keep your Kold-Vest frozen for 24 hours.